The University of Ulster has been chosen by the Confucius Institute Headquarters to be home to a prestigious institute aimed at fostering closer ties between China and Northern Ireland. The Confucius Institute for Northern Ireland at the University of Ulster (CINIU) will develop academic, cultural, economic and social ties between the two countries. The institute, whose Northern Ireland headquarters will be based in Coleraine, will be part of a network of 322 institutes in over 50 countries which promote and teach Chinese language and culture and facilitate cultural exchanges aimed at fostering trade links with China. The institute will operate in partnership with the Zhejiang University of Media and Communications in south-eastern China. University of Ulster Vice-Chancellor Professor Richard Barnett, who signed the agreement with Hanban, the Confucius Institute HQ which is an offshoot of the Chinese Ministry of Education, said the setting up of CINIU was a seminal moment for Chinese-Northern Ireland relations. “The University of Ulster is delighted Hanban has chosen our bid to establish a Confucius Institute in Northern Ireland, based in Coleraine but operating across all our campuses,” Professor Barnett said. “We are also delighted to team up with the respected Zheijiang University of Media and Communication and look forward to working forward to working with our colleagues there. “The Confucius Institute at the University of Ulster will also act as a catalyst for the further development of business links between China and Northern Ireland. We look forward to working with the business community to ensure that Northern Ireland gains maximum benefits from this exciting new initiative. “The setting up of CINIU will enable the University to significantly expand our Chinese language and cultural teaching which currently includes the part-time Diploma in Mandarin Chinese on our Belfast campus and our BA Hons Applied Languages and Translation course. Professor Shaojian Peng, president and vice chancellor of Zhejiang University of Media and Communication, welcomed the setting up of the CINIU. “Zheijiang University of Media and Communication is delighted to work closely with colleagues in the University of Ulster and is very excited about our partnership,” Professor Peng said. “We very much look forward to the relationship between China and Northern Ireland flourishing through the work of the universities through CINIU across all levels – academically, commercially and culturally. 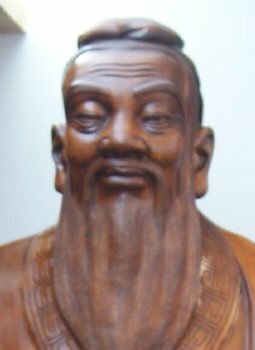 ”Confucius Institutes operate on every continent, in universities and other educational institutions.In the UK, there are Confucius Institutes in the universities of Edinburgh, Cardiff, London, Manchester, Nottingham, Liverpool, Sheffield, Wales at Lampeter, Central Lancashire, London South Bank and the London School of Economics. There are two Confucius Institutes on the island of Ireland, based at University College Cork and University College Dublin. Professor PÃ³l Ã“ Dochartaigh, Dean of the Faculty of Arts, explained: "CINIU's mission will be to work with government, business and academia to enhance Northern Ireland's profile in China while promoting a greater interest in this part of the world in Chinese language, culture, society and business. "CINIU has been set up with an initial five year plan and we expect by 2016 it will have made a significant contribution to strengthening Chinese-Northern Ireland relations." "Teaching of Chinese language to undergraduate students and the wider public; "Promoting an awareness of Chinese language and culture across Northern Ireland; "Acting as a focal point to promote China-related activities across Northern Ireland;"Developing and promoting teaching and research links between China and Northern Ireland, including hosting scholars, researchers and language teachers from China;"Providing services to the public and private sectors that will facilitate a deepening of economic links between China and Northern Ireland." While having its administrative headquarters in Coleraine, CINIU will also operate offices in the University's Belfast campus.